This professional clip-on black badge is your introduction while performing ministeral ceremonies. Proudly display your ULC minister status with this badge. 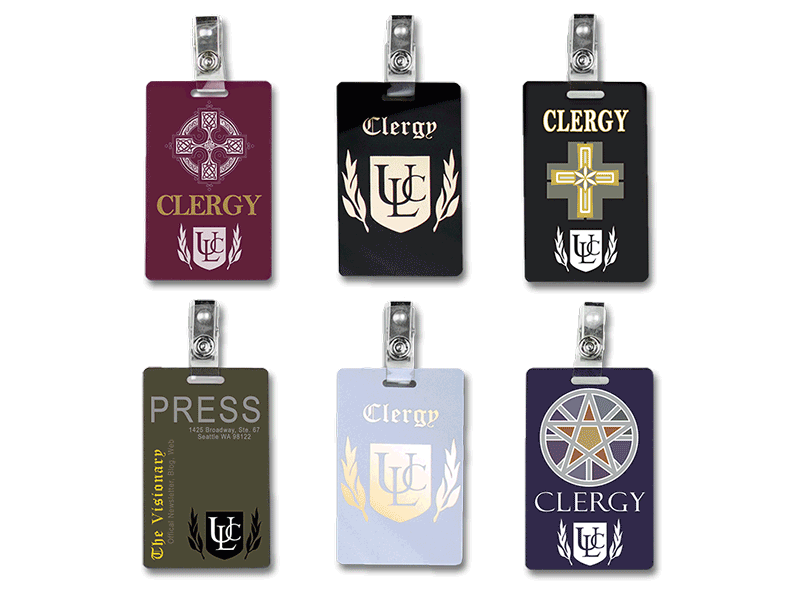 This professional ULC clip-on badge helps identify you while ministering to those in need. It conveys your confidence and provides assurance that you are dedicated to the highest level of service. Wear it with pride while visiting hospitals, nursing homes, hospice centers, correctional facilities, or wherever the calling takes you.